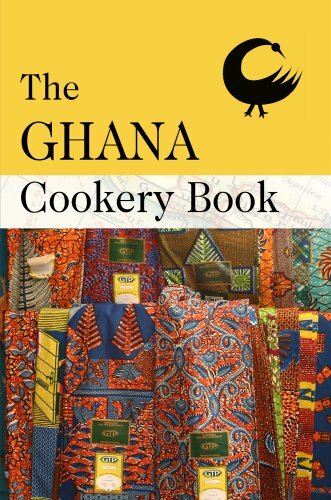 One of West Africa's earliest recipe books, "The Ghana Cookery Book" was first published in Accra in 1933. Over 800 recipes make use of a wealth of local ingredients: ripe, tropical fruit, abundant fresh fish from the Atlantic Ocean, exotic spices, and a profusion of vegetables, grains and nuts from the fertile plantations of the Gold Coast. Providing a fascinating, unique snapshot of West African cuisine during the colonial period, "The Ghana Cookery Book" features a number of charming period advertisements, and is packed with vintage hints and tips on running a household in tropical Africa. If you have an interest in West Africa and the cultural histories of the region, this book makes for essential and enjoyable reading. DO NOT NUY IF YOU'RE LOOKING FOR TRADITIONAL AFRICAN COOKING. THIS IS MORE OF A WESERN STYLE COOKING RATHER THAN AFRICAN! This book is more of a western type oF a book, DO NOT PURCHASE IF YOU'RE LOOKING FOR TRADITIONAL TYPE COOKING. IT'S EXTREMELY DISAPPOINTING! AND, NOT WORTH THE PRICE!